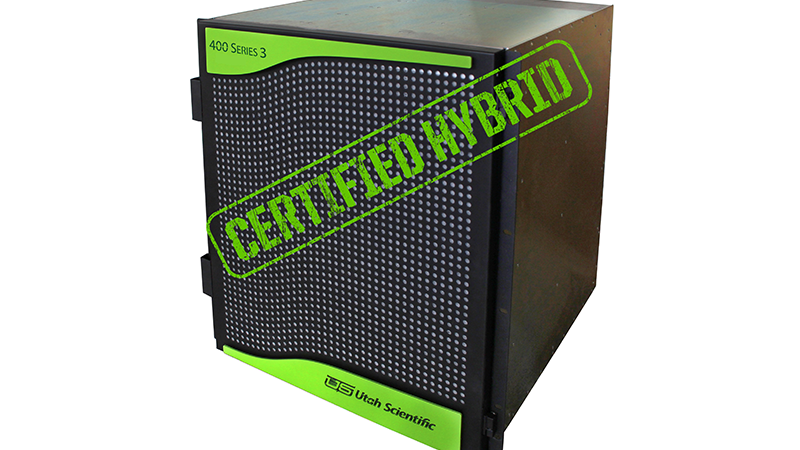 SALT LAKE CITY — April 18, 2017 — Utah Scientific today introduced its new 400 Series 3 hybrid digital router, a flexible platform designed to accommodate the next-generation SMPTE ST-2110 and SMPTE 2022-7/6/5 IP formats, along with 3G SDI, analog HD and SD, and audio formats including analog, digital AES3, MADI, TDM, and AES67 all in a common frame. 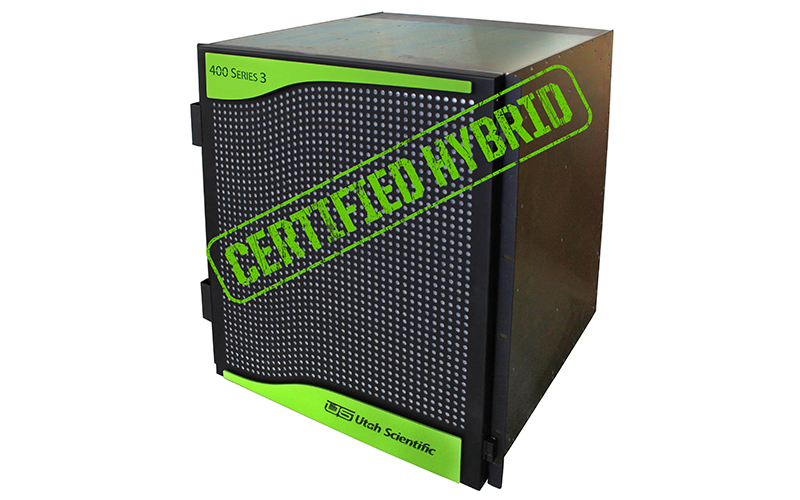 The 400 Series 3 offers the flexibility of 288 I/Os of standard SDI signals with in-frame conversion of all signals to SMPTE 2110 or 2022-7/6/5 IP and vice versa. The router also handles all major digital and analog audio formats, features advanced signal processing for embedding and de-embedding, and is backed by the industry’s only no-fee 10-year warranty.